There’s a chance that you may need some fillings in a few of your teeth. You’re scheduled for a cleaning and examination with your dentist, at which time you’ll find out for sure if you’ll need any. But, there are a few things you should know first, regarding your habits and genetics. Learn how certain factors could influence the effectiveness and longevity of your dental fillings. When you have decayed, cracked or damaged teeth, dental fillings are used to restore the strength and integrity of the tooth. 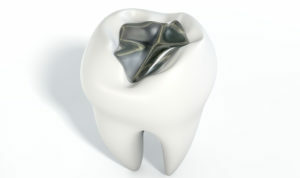 The process begins with the removal of any decayed or damaged portions of the tooth. The next step is to fill the voided space with restoration materials that shape the tooth. The fillings serve two main purposes: to restore the tooth and prevent future damage. This is achieved by sealing the tooth, which protects it from bacteria intruders. Although this is typically a sure process, there are certain factors, though, that effect its longevity. Fillings can fail for several reasons. One of them is the reemergence of the initial tooth decay or the filling becoming detached. Until recently, there has been a debate over whether newer composite resin fillings (tooth-colored plastic) are as durable as the traditional amalgam fillings (silver, tin, mercury mixture). Smoking – The highest failure rate was found among people who smoke. There could be a link between the carbon dioxide production in the mouth that occurs during smoking and the filling failure. Drinking – This was next on the list. The studies found that among people who drank on a regular basis, the fillings failed within two years. Genetics – A gene labelled MMP2, an enzyme found in teeth, was discovered to be linked with failed fillings as well. More research is required into each of these areas, but it’s safe to say that it’s in the best interest of the longevity of your fillings and overall oral health to maintain healthy lifestyle practices. One simple habit to develop as a part of your healthy regimen is brushing and flossing at least twice a day. This will limit the number of fillings that you’ll need and protect your mouth, teeth and gums from other maladies. Finally, make sure to visit your dentist at least twice a year for cleanings and examinations to prevent any minor issues from becoming major. Dr. Neil Flenniken has over 17 years of experience in cosmetic and implant dentistry. He received his undergraduate degree from the Ohio State University and went on to earn his D.D.S. from Howard University. He practices at Flenniken Family Dentistry and can be reached for more information through his website.